Khalid* clicks on the blue-and-white circle on the app list on his smartphone. A white globe appears. 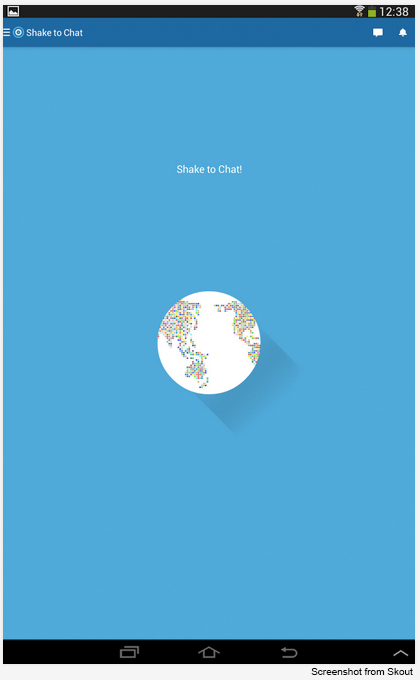 Colourful dots stand for the continents and the headline reads “shake to chat”. With a quick swipe over the screen he gets the globe spinning. Suddenly he pulls his hand back and taps the still spinning earth with a pointer finger. One of the colourful dots expands, and a photo of a young woman with long brown hair appears. She is smiling into the camera: Jenny, 26, San Francisco, CA. Khalid laughs: with this app he has made friends all over the world. He wears a somewhat dusty red cap and a neon-yellow safety vest over a faded jumper. He is actually at work right now: Khalid is currently earning his living as a parking attendant at the boardwalk in the Moroccan port city of Tangier. “I speak six languages,” he says in fluent German. Khalid studied in Germany for two years. Then he had problems financing his studies, so he returned to Morocco. But he wants to go back soon, since his girlfriend is waiting for him there. “I will just marry her and then I’ll get a stamp in my passport,” he says. The app Khalid likes so much is called Skout. On the homepage the firm attracts new users with the claim: “The world has no limits, so why should you?” Seoul, London, San Francisco, New York – in addition to meeting people from every continent, the app even offers digital tours given by locals in popular cities: “Got wanderlust? Passport lets you virtually travel to anywhere in the world”, is how this feature is described. Digital technologies such as Skout make it seem like there is a world without borders. But the reality is different for many people: While a small percentage of the global population travels the world with relative ease, the mobility of the majority of the earth’s inhabitants is severely limited. At the edges of the European Union in particular, but also in the USA and Australia, we have witnessed an increasingly rigorous control of borders in recent years. For people from “third countries” that are subject to strict visa requirements, like Morocco, there are few legal ways to travel to the Schengen countries. The term “third countries” refers to all countries that are not members of the European Union. To be granted a tourist visa, an applicant must demonstrate the will to return to his or her country of origin. A young man like Khalid who is not married and earns a below average income has almost no chance to be admitted to Germany. Only the highly qualified have access to a work visa. And a student visa is only granted to very few. Once they have arrived in Germany, many students find it very difficult to finance their studies and keep up with the comparatively high cost of living if they do not get support from their families. This happened to Khalid. So if he does not want to enter illegally, Europe might remain closed off to him. The story of Najim and Zineb is a good example of what this restrictive immigration policy means for a couple who found each other beyond the confines of territorial boundaries. They too met in the virtual world for the first time – a site set up so young Muslim users can meet. 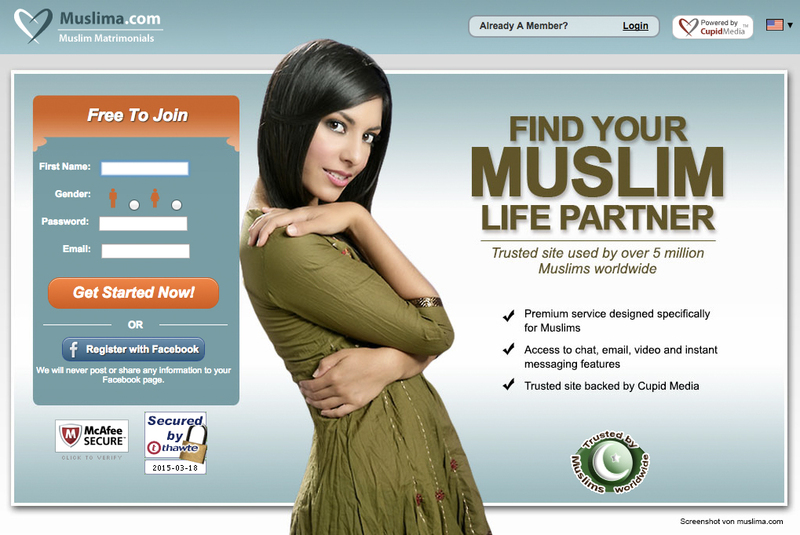 “Find your Muslim life partner” is the slogan at muslima.com. While global networking is the focus at Skout – “from friendships to romance” – the range on this website is more specific. It offers to help people find a life partner with a Muslim background. Zineb herself admits she would not have registered on the website just to chat. She really wanted to find someone to marry. She is nearing the end of her 20s and lives in a tiny city in Morocco. “I am not the kind of person who goes out a lot and I have the internet at home and plenty of time,” she adds. After just one week, she met Najim online. Shortly afterwards both closed their mailboxes because they did not want to receive messages from anyone else. That was two years ago and since then the two have met up every day, often for hours. Not in the same physical space though, but in the virtual world, with Zineb in front of her laptop in Morocco and Najim in Germany. They are subject to two different restrictive entry policies: Zineb is a Moroccan citizen and as a young, unmarried woman without a steady job, she cannot secure a visa for the Federal Republic of Germany. Najim has lived in Germany for fifteen years and has a permanent resident visa, but is an Iraqi citizen. He has repeatedly applied to the Moroccan embassy for a visitor’s visa, but has been refused every time with no reason given. For the time being, the only option left is to continue their virtual relationship. Zineb was there “live” with Najim as he looked for a new apartment – he sent her photos, and she explored the neighbourhood with Google Street View. Najim has met her entire family on Skype. In addition to long talks, they watch films together, eat together, or leave the webcam on while each does his or her own thing. Today digital technologies make it easy to maintain contact and create a close bond no matter the distance. Still the situation cannot go on forever for Zineb and Najim. There is one more possible option: they plan to apply for a marriage visa for Zineb. If a third country national from a country that requires a visa is married to someone who is either an EU citizen or in possession of a resident visa has the basic right to enter the Schengen area and live with their spouse. The protection of marriage and family is guaranteed in the German Basic law, the Charta of the European Union and the Universal Declaration of Human Rights. Zineb and Najim – and Khalid – all want to invoke this right. But in these current times of more stringent immigration monitoring of Europe’s borders, a marriage certificate is not necessarily enough to be issued a spouse visa to join a husband or wife. The authorities and consulates view immigration based on marriage as a “loophole” in the system – which became very clear during conversations with employees from these institutions. So every trick in the book is tried to limit and regulate this way of gaining entry to Europe. The first hurdle, which was introduced by Germany in 2007, is the requirement to provide proof of German proficiency for level A1, the lowest level according to the Common European Framework of Reference for Languages. Zineb, Najim’s girlfriend, has already passed this test, which is no problem for Khalid either, since he has already attended a German university. This language certificate is a prerequisite for even applying for a spouse visa. This is followed by lists of questions and an investigation by the foreign consulate and the German Aliens Authority. The staff is tasked with finding out if this is a so-called “marriage of convenience”. This is what the authorities call a marriage that is for the sole purpose of allowing a spouse to stay in a country, and is seen as a violation of immigration law and thus a crime. This investigation can be very invasive, even demanding proof from the German partner that a relationship is “real”: plane tickets, entry and exit stamps in a passport, but also proof of regular contact via Skype. Contact via the net then becomes a kind of “proof of love”. Neither Khalid and his girlfriend, nor Zineb and Najim, will have any trouble proving their virtual contact. But how far can the authorities go, how deeply can they invade people’s private lives? Most couples reveal everything, even submitting Whatsapp messages and other conversations held online because they assume there is no other choice. Khalid understands that it might ultimately not be as “easy” as he claimed in the beginning – until he has that stamp in his passport. So far he is stuck in Tangier and bound to his job as a parking attendant. He is now standing on the roadside mesmerised by his smartphone again, typing messages into the Whatsapp window on the display. He uses every spare minute to stay in contact with his girlfriend. She just messaged him that it was 18 degrees in Germany. He looks up as a white SUV comes closer. Suddenly, the driver honks his horn to indicate he wants to park in this lot. Khalid jumps up, for a moment he is forgetting the place where he sees his girlfriend every day, as she stares at her smartphone screen over two-thousand miles away. 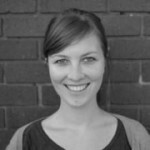 This article was originally published on Digital Development Debates.